Congratulations to Pacific Northwest National Laboratory's Dr. Michel Dupuis on being named a Fellow in the American Association for the Advancement of Science. The AAAS is the world's largest general scientific society and publishes the prestigious journal Science. The Association gives the distinction of Fellow to members who have advanced distinguished science applications. Dupuis will be recognized in February 2009 at the Fellows Forum during the AAAS national meeting in Chicago. Dupuis pioneered the use of information technology to address fundamental problems in chemical theory and research. 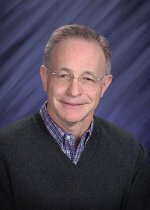 The AAAS fellowship selected him for his "distinguished contributions to the fields of computational and theoretical chemistry, particularly for the development of electronic structure methods and computer codes for the simulation of molecular properties and reactivity." Dupuis is a Laboratory Fellow and Associate Director in PNNL's Chemical & Materials Sciences Division. He publishes extensively, having written or co-written more than 170 journal articles. He lectures at national and international conferences. Also, he routinely mentors college students and post-doctoral fellows and serves as adjunct faculty at Washington State University-Tri Cities.